Urban Melbourne recently caught up with ClarkeHopkinsClarke Partner Toby Lauchlan to discuss their Pica development in Richmond which forms part of their growing body of work. 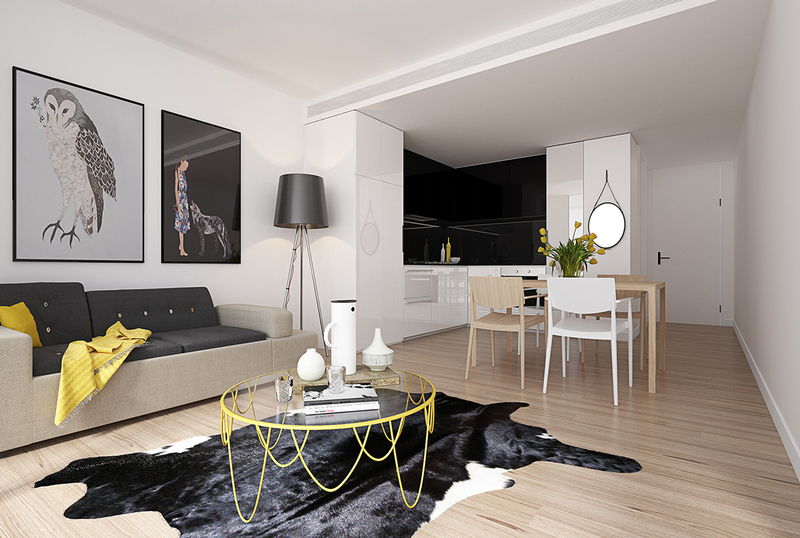 Laurence Dragomir: Can you provide us with a brief overview of Pica's internal specs including apartment sizes, finishes and what differentiates the development from a buyer's perspective? Toby Lauchlan: We started Pica back in 2011, it comprises 19 bespoke apartments over six storeys at 8-10 New Street in inner Richmond. It's a brilliant location, in really close proximity to parks, Fitzroy Gardens, the MCG and so forth. The developer owns a ballooning company called Picture This Ballooning and has operated onsite for many, many years in the current building so there was a strong reference to this ballooning culture in Melbourne and the history of the site. In essence it's about reinventing the site for the new generation of people that are going to live there, so the exterior responds to this with a strong ballooning reference which has been abstracted over the height of the building. We've now got a series of rectilinear forms that appear to float up and over the streetscape, and then there are a number of large panels that began as direct images of balloons and through working closely with David Pidgeon (graphic designer) the images evolved into a series of pixellated references of clouds, skies and balloons. The panels also incorporate visual cues to Melbourne's four seasons in a day. There are taller buildings around Richmond, but this is taller than its immediate context so it offers up some spectacular views. Much of the marketing material associated with the project revolved around the views and the artwork. Croten Investment's Damian Crock has been closely involved all the way along the process, working together with the interiors team at ClarkeHopkinsClarke (CHC) to create a neutral palette inside. It's a very black and white scheme but with really crisp finishes; black taps and other fittings, black high-gloss overhead cupboards above the kitchens with a white joinery base. We've tried to keep the palette simple internally but quite vibrant externally. The development targets the owner-occupier market; every apartment is different, no two apartments are the same and there's a mix of 9 one-bedroom and 10 two-bedroom apartments ranging from approximately 50sqm to one that is over 100sqm on the top floor with views towards the city. There's a small café on the ground level near the main entry, 14 car spaces, 20 bicycle parks and 2 motorcycle spaces spread across ground and first floor. With only 19 apartments it's quite a compact development, very boutique but with some great height on it. LD: With no two apartments being the same did that throw up any challenges for the design team? TL: If you compare it to other apartment buildings that we're doing across Melbourne within the middle ring and inner urban areas, predominantly we do try and get repetition where possible. This leads to efficiency in apartment types but on a project like Pica, which is quite constrained site-wise, has setback requirements and so forth, the inevitable result was that we ended up with different apartment types. In saying that there's a lot of standardisation in joinery units, kitchens and bathrooms. So that did throw up some challenges but nothing too extreme. LD: Can you tell us a bit about the practice, the type of work you do? TL: There's 65 people in the practice, so it's a large practice and we're quite diverse in the sectors that we target. The practice was founded in 1960 by partners Les Clarke, David Hopkins and Jack Clarke, designing houses but also with a real focus on the retail and education sectors. Melbourne’s ClarkeHopkinsClarke has more than 50 plus years’ experience in creating vibrant communities across the design of entire urban communities as well as education, multi-residential, health and aged care projects. CHC’s extensive knowledge of technical requirements and ability to lead design trends, across a variety of building types are critical to our success. As well as our multi-sector portfolio of works CHC are currently carrying out a major research process into the key elements that make up a vibrant community and are actively leading the discussion on our St Germain greenfield development with the State Government’s Metropolitan Planning Authority as to how these theories can be tested in reality. www.creatingvibrantcommunities.com aims to start to bring together a wider array of stakeholders, designers and government and provide new tools to help improve the quality of life for those living in new greenfield suburbs. LD: Would it be correct to say that CHC seem excessively strong in mixed-use developments. Would you say that this is now the practice's area of expertise? TL: We've developed and evolved over the years so yes we do a lot of mixed-use and Pica for example is essentially a mixed-use project with retail being a very small component to it. We do a lot of pure residential but also a lot of mixed-use with a residential focus that include a small cafe at ground floor, SOHO's or offices for example. There's also a number of large retail focused projects with apartments, with townhouses etc, so there's a real cross section. Then there's the outer urban but my focus within the practice is multi-res and mixed use in the middle and inner urban developments. LD: What do you / the practice consider to be the main factors which most influence a CHC design and sets it apart from other architectural practices in Melbourne? TL: I think having a real experience across all sectors allows us to bring that experience into individual projects, particularly those middle ring areas like Brunswick, Doncaster, Essendon Glen Huntly, Kew; sort of scattered everywhere. We work closely with a lot of councils during the town planning and pre-application phases, we provide community spaces, a strong retail base to the building that the apartment focus can really drive off that as well. We have a really good design ethos in the practice, we attempt to push every project, getting individuality and strong identities to our buildings, driving off those for the marketing. But then there's also a real focus on the provision of amenity and really maximising it: the natural light, the openness, terraces, the interface with the public realm and then creating a sense of community within. We do a thorough site analysis looking at the context, the history of the site, the amenities within the precinct that can be used by future residents, how does the retail respond to the existing retail strip. There's a lot of aspects that we look at to bring into and help inform the project as well as responding with our clients' imperative and ensuring the project will be successful for them. There's the marketing side of it so if a project's not marketable, if it doesn't generate any interest or residents and tenants don't like the building then it's not a successful project. LD: It seems like the practice places a strong emphasis on the macro scale as well. Looking beyond just the site in question at not just its immediate context, but also how it fits in within a greater precinct? TL: Our practice works on a number of new growth suburbs, new town centres and so we're doing a lot of urban design work in those areas with projects like Soho Village which is a project CHC Partner Dean Landy has been working on down at Point Cook. It comprises apartments, townhouses, a small boutique supermarket (name to be confirmed), church and office buildings; essentially designing that whole community, making sure that it works and that it fits in within a predominantly single storey, single dwelling suburb. Having that experience through to working with Coles and Woolworths who are a couple of our bigger clients that are also involved with a lot of mixed-use developments such as Highett Road. 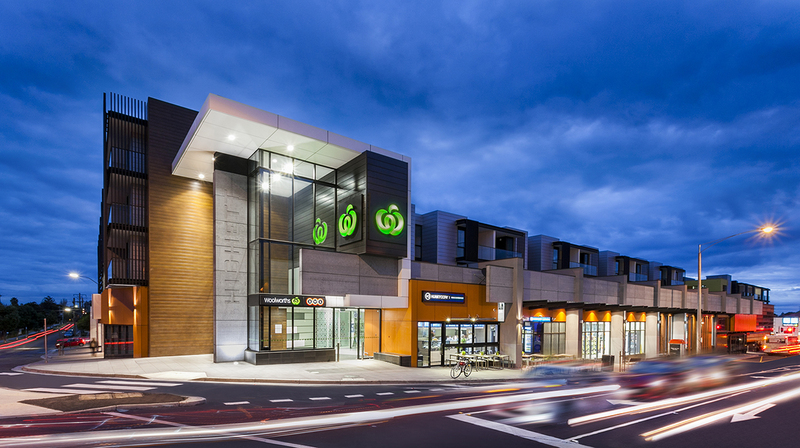 The project was completed a year or so ago and features 130 apartments above a full line Woolworths supermarket with 17 specialty stores and office space. Having those projects and the connections they create within the community; this type of project influences our inner urban residential work and other mixed use projects. A few projects that I'd like to mention are one that was just completed and launched last week in Doncaster, Six Thiele Street. 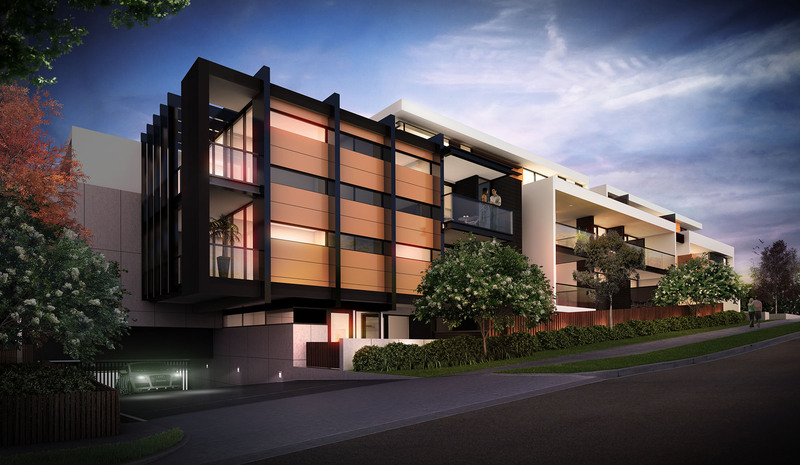 A purely multi-residential development of 50 luxury apartments, with no retail component as it's located on the fringe of Doncaster's retail precinct close to Westfield Shopping Centre, and features a mix of one and two beds over 4-storeys with a three bedroom apartment on top. 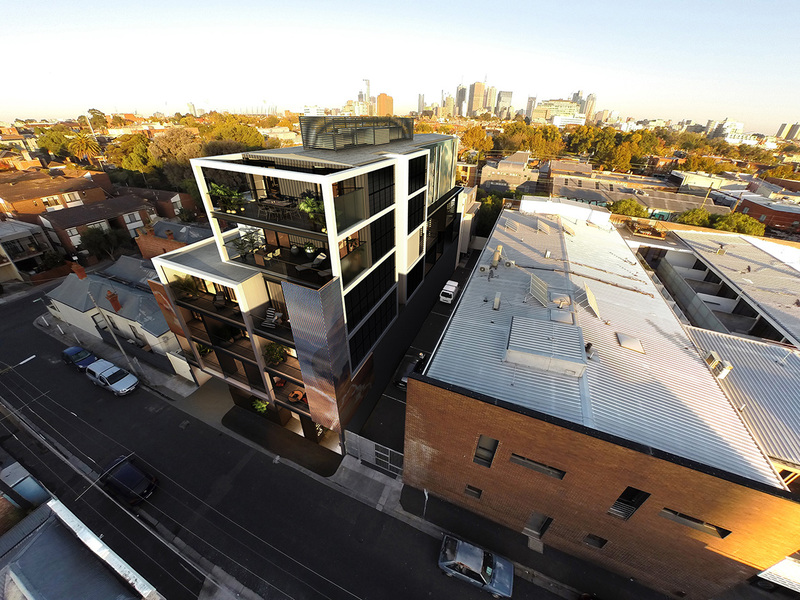 We then have a few in Brunswick such as Fabrik Apartments on Albert and Beith Street. The area is seeing quite a number of apartment buildings going up, one which we've been working on that's just been approved by council is in Breese St. It's 7 levels and has been praised by the council for its architecture and design. There's a cafe at ground with 60 or so apartments above that feature 6-star apartments with rain gardens and an environmental focus. LD: Lastly, to finish us off, is the practice looking at making the transition to working on high-rise multi-residential projects? TL: Going back many years we started off working on a number of 3-4 storey apartment buildings and it has increased with the middle ring being in the vicinity of 5-7 storeys which we're doing a lot of at the moment. We have looked at and are currently looking at a number of high-rise projects so stay tuned. One of the taller projects we have worked on is the Mutual Store and Empire Apartments on Flinders Street, and that involved the construction of 14 new floors so still high-rise but not the 100-storey scale. Stay tuned as there are definitely some high-rises in the pipeline as part of our portfolio of creating vibrant communities around all of our projects across every sector. LD: Looking forward to hearing more about them in the not-too-distant future. Thanks again for your time Toby.